Welcome to the Watermill Café. The Café is located in what was originally part of the bakery in Skerries Mills. The tradition of home made food is still carried on today with fresh scones and brown bread being made every day. The menu offers a wide variety of food which is produced to order. The food is ultra-fresh, simply prepared and full of zest and, given the quality, it is also a good value. You can relax over a newspaper or chat with friends and family. 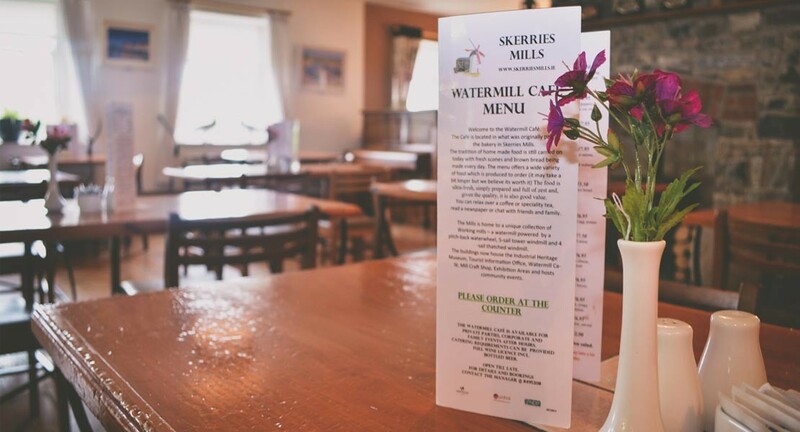 The Watermill Café is available for private parties, corporate and family events after hours. Catering requirements can be provided. Full wine licence including bottled beer. Open till late for private parties and functions at night, for details and bookings, contact the manager at: 01 8495208.